Chrome River has also been ranked on the Inc. 500|5000 for four consecutive years and the Deloitte Technology Fast 500 for three consecutive years. Chrome River, a leading provider of expense management and supplier invoice processing software, today announced that for the fourth consecutive year it has been ranked among the 100 Fastest Growing Private Companies in Los Angeles County by the Los Angeles Business Journal. This annual survey ranks the top 100 Los Angeles County based companies by revenue growth from 2011 – 2014. All 100 companies were recognized on November 2 at the 19th annual Fastest Growing Private Companies Awards and Reception at the SLS Hotel in Beverly Hills, CA. 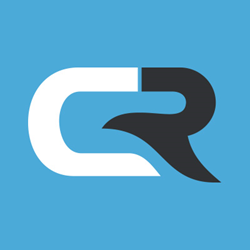 Headquartered in Los Angeles with resources throughout the U.S. and EMEA, Chrome River provides innovative expense reporting and invoice management solutions for enterprises of all sizes, including some of the world’s most sophisticated global enterprises.